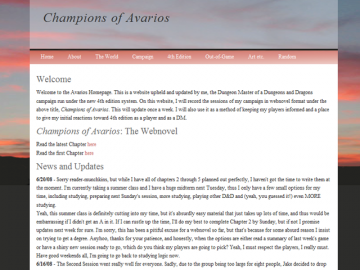 "A D&D campaign in prose"
Champions of Avarios by Lora Hibbard is a fantasy novel updated every few days. Champions of Avarios has not been reviewed yet. Champions of Avarios has not been recommended yet.